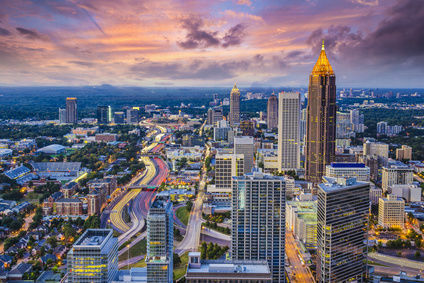 The city of Atlanta, Georgia boasts a population of over 400,000. This is the most densely populated city in the U.S. with an estimated 3,188 people per square mile. This city spreads over an area of 132.4sq miles, at an elevation of 738-1,050ft. The time zone in Atlanta is in EST (UTC-5). During the summer it is EDT (UTC-4). 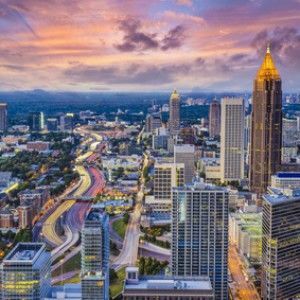 The whole Greater Atlanta metropolitan area is home to over 5,400,000 people and is the 9th largest metropolitan area in the USA. Atlanta uses American English as their primary language. Atlanta’s currency is US dollars. Each $1 equals to 100 cents. One of the world’s major trading currencies, the US dollar is the currency of exchange throughout the United States Of America. Atlanta’s emergency number is 911. This is the same throughout the USA. Atlanta’s banking hours are between 09.00am to 17.00pm Monday-Friday. Some banks are open for half the day Saturdays. Most ATMs are open 24 hours. Atlanta’s shopping centers and smaller retail shops and outlets are open between 09.00am to 21.00pm. Some stores are open 7 days a week, others 6 days. Atlanta offers a great diversity of shopping options with many major shopping malls, small shops outlets and large stores.